My German Shepherd Max loves to play in water! luckily coming runner up for "cutest puppy"
he loves walks, running and playing tag. 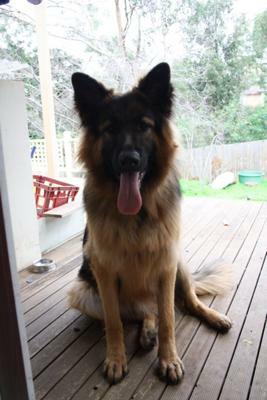 Max is a great dog always willing to play and those who have met him always comment "wow his huge"